With flames blocking the stairways, firefighters were forced to use ladders to save residents. 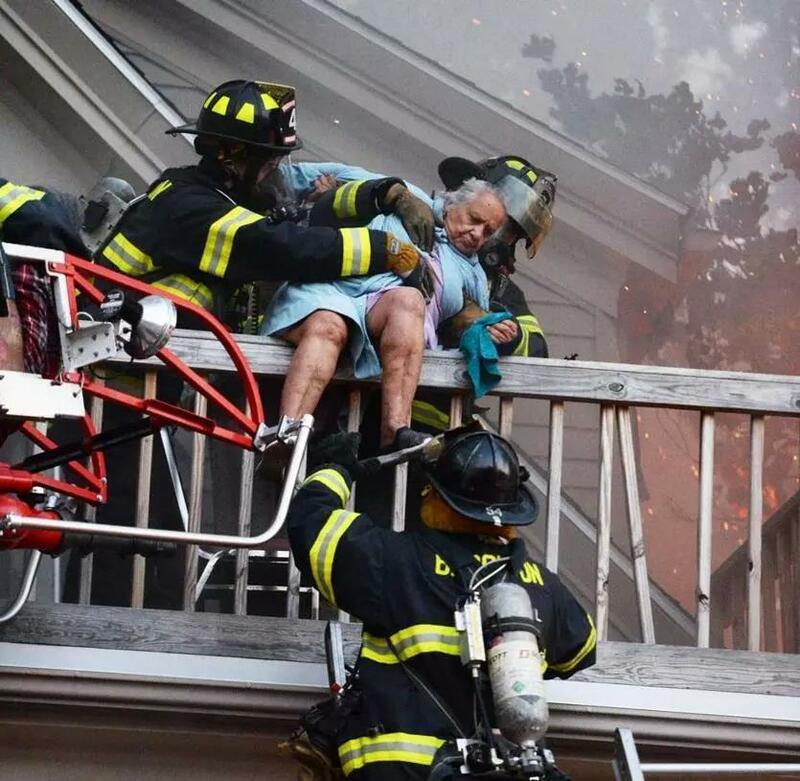 With flames raging through their home, four elderly residents in Brockton were rescued over manual and aerial ladders by firefighters Friday morning, officials said. Two of the four residents are believed to be over 90 years old. Since flames blocked the stairway of the 2 1/2 story house, firefighters were forced to carry them over the railing of a second floor balcony and onto a ladder, a fire official said. Neither the residents nor the firefighters involved in the rescue have been identified. The two-alarm fire broke out shortly before 6 a.m. at 23 Kenwood St. Damages are estimated at $100,000, an official said. A video posted to the Brockton Fire Department’s Twitter account showed flames engulfing the backside of the wood-framed house, as firefighters prepared to help the trapped residents down the ladder. “We need water on the fire!” a voice shouts on the video. “It came out the windows, up the side of the house and into the attic,” Nardelli said of the fire. The residents’ advanced age complicated the rescue, but the department trains for difficult and rare situations, Nardelli said. Solar panels on the roof made it difficult to ventilate the building. Firefighters put tarps over the panels, so they wouldn’t get electocuted by the wires, Nardelli said. It took firefighters just under an hour to bring the blaze under control. At one point, more than 30 firefighters were on the scene, Nardelli said. All four residents were taken to Good Samaritan Medical Center and treated for smoke inhalation, according to Nardelli. In addition to the residents, firefighters also rescued a cat from the blaze.Emergency medical personnel from Brewster gave the cat oxygen at the scene. The cause of the fire is still under investigation as of Saturday evening.